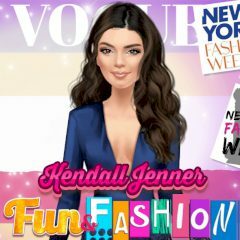 Help Kendall Jenner to turn his daily routine into something interesting. Dressing up might become a solution! Kendall is a real fashion diva and there is nothing, that she can't do with ones styles. Just play this game and watch she doing her job!